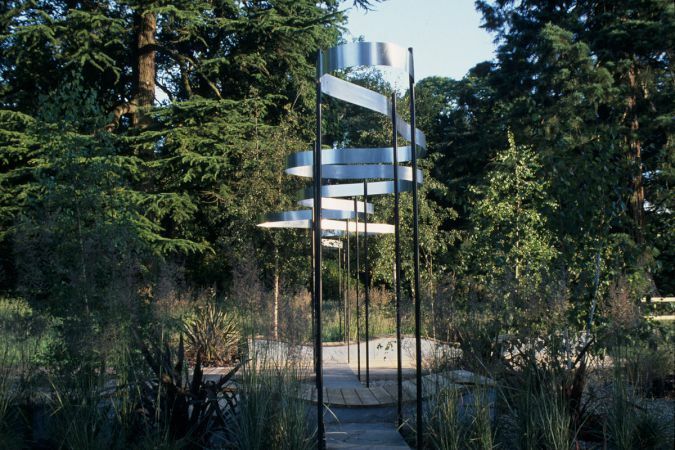 Catherine's garden for the International Festival of Gardens at Westonbirt Arboretum demonstrated how contemporary design could link with a mature forested landscape. 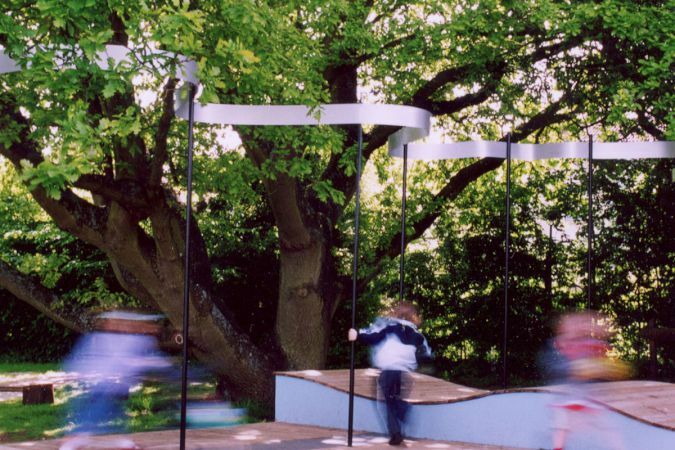 Visitors could lie and relax on the long benches whilst looking up through the branches to the sky. 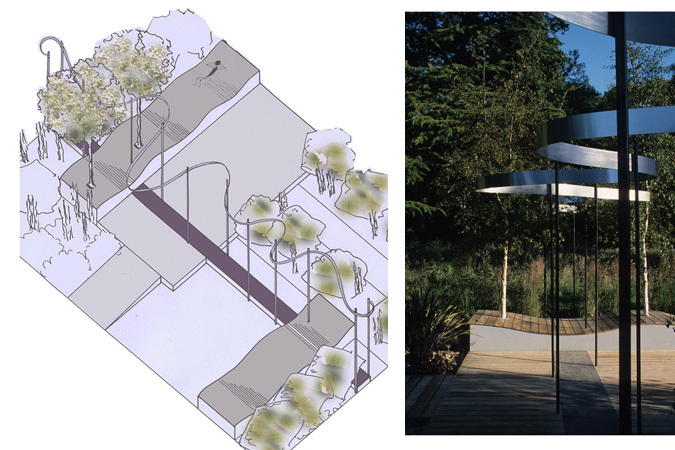 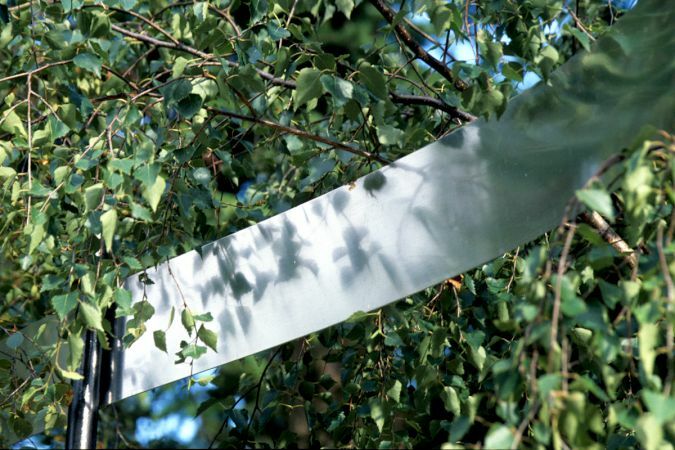 The metal wave is designed to reflect the light and the shadows of leaves and branches. 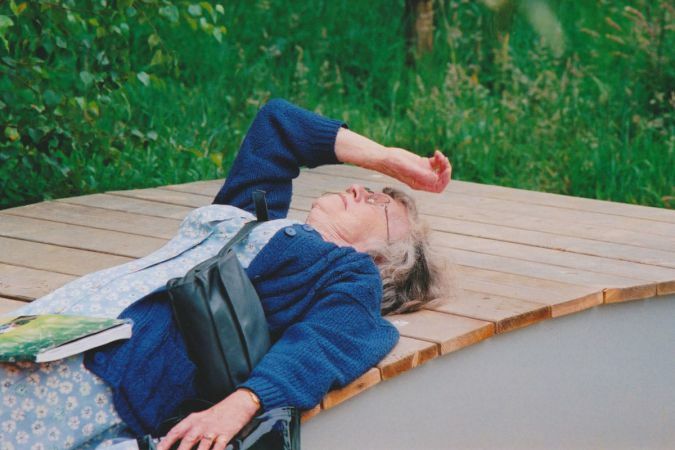 At the end of the festival the garden was relocated to a nursery school in Bristol where it became a play area with space for story-telling and performances.